Day of the Dead is 6 days away! 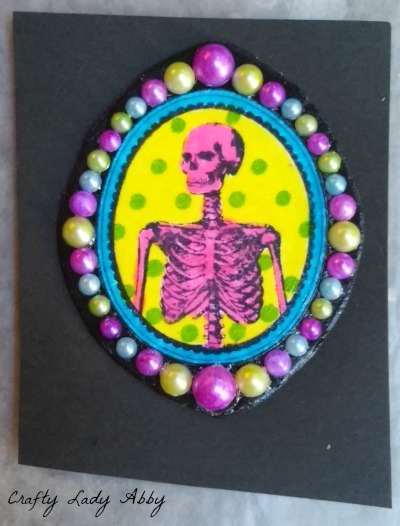 To celebrate, I've been making a series of sugar skull projects. 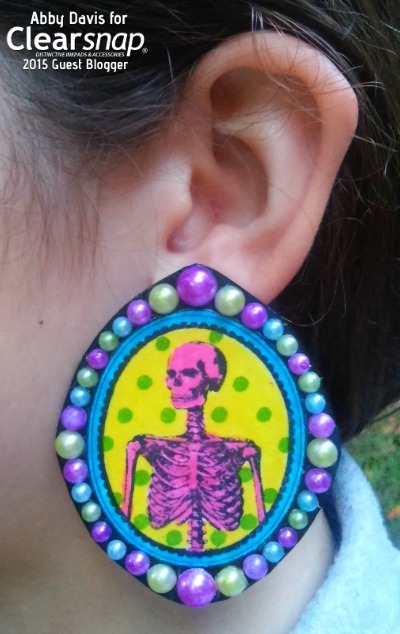 These skeleton cameo earrings use Marisa Pawelko's, Modern Surrealist, new ClearSnap Surfacez Ink line. It's brightly colored, dries fast, and adheres well to many surfaces including paper, plastic, and wood. 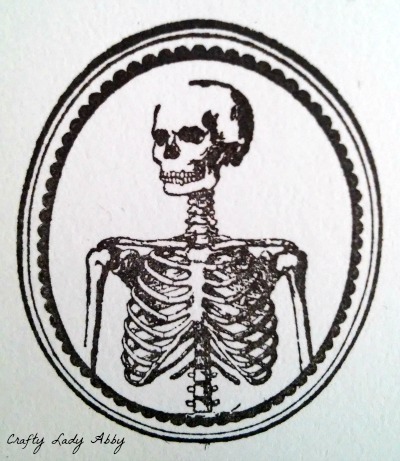 You know I love anatomy, so when I saw this skeleton cameo stamp, I vocally squealed! 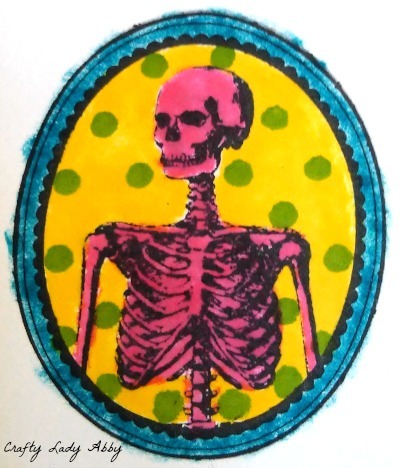 Finding the perfect skeleton stamp that was chic and not cheesy, proved tricky. This one is from the Hampton Art "Beware" Stamp and Stencil Set. I found it hiding at Michaels. I love cling stamps, as they take up less room and have clean printing. You should fully expect a coffin necklace in my future...not necessarily for Halloween, just because goth ladies need morbidly awesome things. Ok enough gushing over this set. Onward to the tutorial. 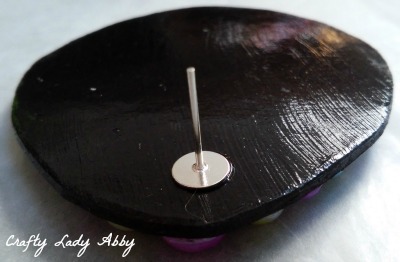 ClearSnap and Plaid Crafts (Mod Podge) provided me with their products. 1) Add the skeleton cameo stamp to a clear acrylic stamp block. Ink the stamp with Beyond Black. Stamp onto the white cardstock. Reink and restamp, until you have at least 2 prints that are rich and complete. Clean off the stamp. Add back to packaging sheet and store. 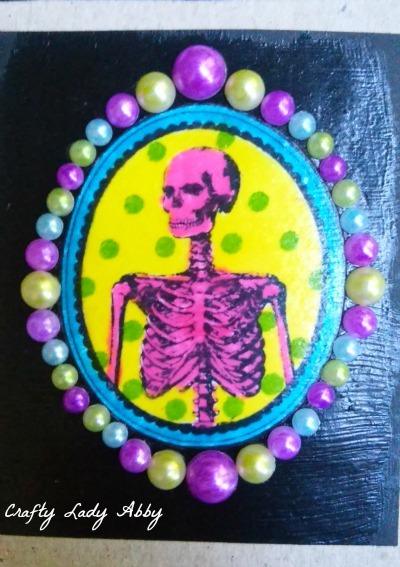 2) Using cotton swabs, color the skeletons with Pink Paradise, the background YOLO Yellow, and the border Bahama Blue. Use a cotton swab end and Gecko Green to make polka dots on the yellow background. 4) Using the flat paintbrush, apply an even layer of Mod Podge Gloss to the back of one cameo. Lay cameo on the black cardstock and smooth down. Repeat for the 2nd cameo on a different black cardstock section. 5) Seal with an even coat of Mod Podge Gloss. Let dry. Cut the cameos out with a generous amount of black paper around them. 6) Add a coat of Mod Podge Gloss to the back of the cameos, and smooth onto chipboard. Let that dry between a folded wax paper piece, under a heavy book, for 30 minutes. 7) Using the cotton swabs color some white half pearls with Passion Purple (pink), Tiki Teal (blue), Charming Chartreuse (yellow), and Gecko Green (green). I found these colors worked best to color the pearls. The other colors didn't show up well. The pearls are on a clear plastic sheet. 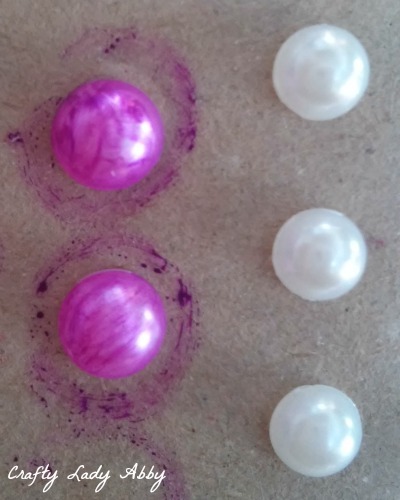 8) Lay out your pearl design around each cameo. Remove the adhesive dots. Squeeze a little E6000 onto the wax paper. Use a toothpick to carefully add a little E6000 to a pearl back. Press in place. Repeat with each pearl until they are all glued. Let dry flat for an hour, before handling again. This glue takes days to fully cure. 9) Cut around the pearl bordered cameo with small scissors. 10) Add a thick coat of Mod Podge Gloss to the chipboard cameo back. Smooth onto another black cardstock piece. Press it down well with your hand. Let dry. 11) Cut around the cameo to remove the excess cardstock. 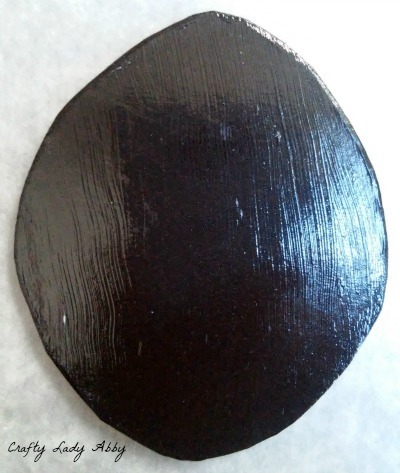 12) Use a cotton swab and Beyond Black to color the cameo's chipboard edges black. 13) Using a small detail brush, seal the cameo edges with Mod Podge Gloss. Seal the back using a flat paint brush. Let dry completely. 14) Add a little E6000 to an earring post. Press firmly onto the cameo back, near the top. Repeat for other cameo and earring post. Let dry 24 hours before wearing. 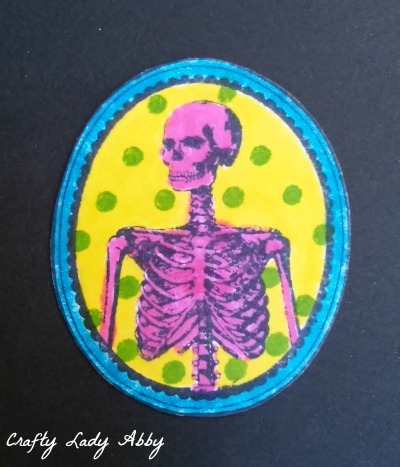 If skeletons aren't your thing, you can use these techniques with any small to medium stamp...cling or rubber. The Beyond Black Surfacez Ink makes a richly pigmented print that doesn't smudge and is quickly ready to color in. I experimented with other ClearSnap craft inks I had on hand, to find the best one for stamping this image. 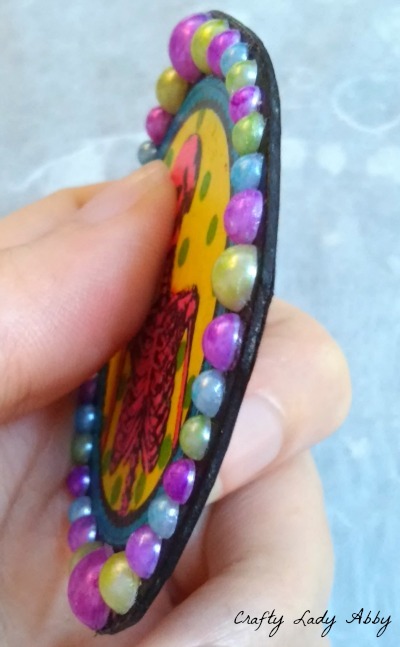 If you want some sparkle, add fine glitter to wet Mod Podge Gloss, then seal it when the glitter is dry. I used flat back pearls for this project, but you might be able to color clear plastic gems with this ink too. That's a future experiment. That's all for today. Happy Makery!